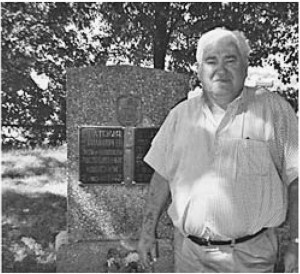 Israel Ira Lulinski and the Memorial to the Jewish Population of Miory murdered by German Troops. Israel Ira Lulinski was born in 1935 in a small village of Miory in Poland and grew up with very few comforts. His family was also part of small, tight Jewish community which has been living there for hundreds of years. Then, his life changed when the German Army invaded. The town’s Jewish population was forced to leave their homes and move into a crowded ghetto. Anything of value was confiscated. What was most horrifying was that almost all his non-Jewish neighbors turned on him and his community, collaborating actively with the Nazi occupation. Then, on June 2, 1942, the “catastrophe” arrived for six-year old Israel. The ghetto was evacuated, and its inhabitants were taken to an open field for a “census” they were told. They were told to undress and then told to walk across a plank that a stretched across a huge ditch that had been dug earlier. Men, women and children were then shot by German soldiers and fell dead into the ditch. Ira watched his mother and his brothers executed in front of his eyes. This scene is etched in his memory for the rest of his life. As the moment of death approached for Israel and his father, they along with others made a break for the woods with Germans firing at them as they ran half-naked. Only about twenty-five people out of a community of over a thousand survived. The forest was cold place with the ground having layer of permafrost, even during the summer. With no clothing, food or shelter, survival was very difficult for adult men but even more so for a young boy. He and his father actually lived in an igloo that they built to protect themselves from the sub-zero winter. We thank G-d for each other and for all our blessings. 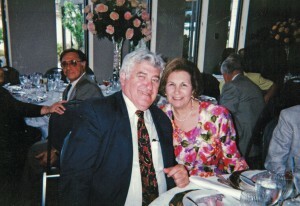 Israel Ira Lulinski and his wife Libby. Eventually, Israel and his father joined a group of Russian partisans called “Sazikinis.” His childhood consisted of ambushing German garrisons and transports; payback for the atrocity which had been done to his family. Eventually, his unit allied with the Soviet Army and was able to receive medication and ammunition. After the war, then ten-year old Israel was eligible to attend the Soviet Military academy. However, he and his father saw no future in Europe for them after the Holocaust. They initially attempted to go to Israel but instead immigrated to the United States joining family in Newark, New Jersey. He married his wife Libby and had three daughters along with many grandchildren. 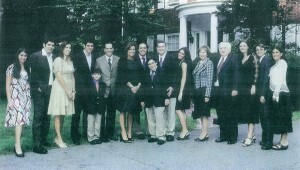 He built a successful business, Summit Steel Corporation, and now has homes in both Cranford and West End, New Jersey. Despite atrocities committed upon his family, he remains a deeply religious man and is a member of several synagogues, including Chabad of the Shore. Left to Right; Gabrielle, Isaac, Daughter Caron, Benjamin, Judah, Son-in-Law Michael, Daughter Sheri, Son-in-Law Marc, Matthew, Joseph, Allyson, Libby, Israel, Eliana, Zachary, Daughter Pearla and Not Pictured Son-in-Law Norman. The scene of death and destruction from his childhood still haunts Israel. He remains deeply committed to preserving the memory of what happened and has built a memorial marking the site where German troops liquidated the Jewish community of Miory and later built a wrought iron fence surrounding the field.